While works towards next release continues, opinion of gamers does matters so i want to share what I'm currently working on. This is kind of a dev diary as I would like to show what I'm currently working on. So as I promised a "save system" with the new release, you can see one part of it below. 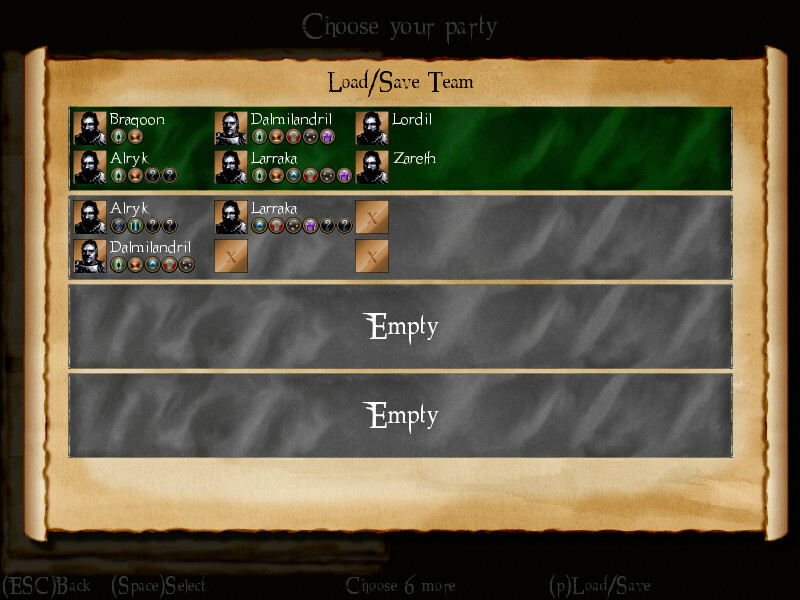 Next release will feature a loadout menu for teams. You will be able to load and save defined teams to save yourself a time. As you can see I have decided so far to have 4 slots and loadouts don't have to be complete. I have still not decided on final layout and exactly what info should be on the "slot". Idea is to keep it simple but with enough information. Loading from this menu will just populate party selection menu so You can always adjust any layout before game will start. This menu will be accessible from party selection menu and this is completely separate to save while in the game. Please bare in mind this is still in development so art and/or layout can be changed.